Professor Camacho’s expertise is in environmental law, land use regulation, and government organization, with a particular focus on adaptive management, collaborative governance, and climate change. His writing in environmental law explores how both the design and goals of the law and legal institutions must and can be reshaped to more effectively account for the dynamic character of natural and human systems. 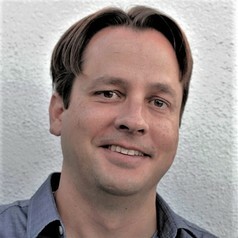 His legal scholarship includes articles published in the Washington University Law Review, Yale Journal on Regulation, UCLA Law Review, Emory Law Journal, North Carolina Law Review, Colorado Law Review, BYU Law Review, Harvard Journal on Legislation, Columbia Journal of Environmental Law, and Stanford Environmental Law Journal. Professor Camacho’s interdisciplinary research involves collaborations with experts in ecology, land use planning, political science, computer science, genetics, philosophy, and sociology. He was a co-investigator on National Science Foundation-funded research developing a collaborative cyber-infrastructure for facilitating climate change adaptation. His scientific publications include articles in BioScience, the Journal of Applied Ecology, Issues in Science and Technology, and the Proceedings of the National Academy of Sciences. Professor Camacho is an elected member of the American Law Institute. In Fall 2017, he was the Florence Rogatz Visiting Professor of Law at the Yale Law School. He also serves as the inaugural Director of the UCI Law Center for Land, Environment, and Natural Resources, which seeks to promote policy-relevant research and public engagement through conferences, lectures, publications, and stakeholder facilitation on a variety of regional and national environmental issues. He is a Scholar at the Center for Progressive Reform, a nonprofit think tank devoted to issues of environmental protection and safety. He is on the Executive Committee of UCI OCEANS, and holds a courtesy appointment in Political Science at UCI’s School of Social Sciences. He is the former chair of the Association of American Law Schools’ Section on Natural Resources. Before joining UCI, Professor Camacho was an Associate Professor at the Notre Dame Law School, a research fellow at the Georgetown University Law Center, and practiced environmental and land use law.